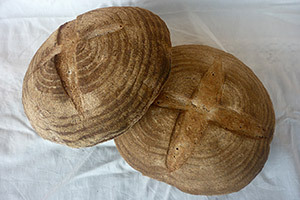 Our recipes are based on the traditional German, French and Italian breads. 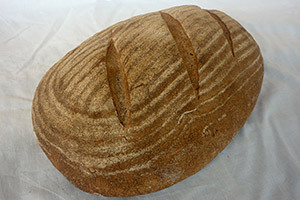 For our sourdough breads we only use natural sourdough of whole grain rye and wheat flour. The long fermentation of the dough (at least 15 hours) guarantees a better digestibility and longer freshness of our breads. We only use the best ingredients available in Panama and of course we don't use any artificial or chemical additives. Be aware that most of our bread can be easily deep frozen. We normally bake every two weeks on Saturday. The next baking day is announced below. Despite of this we try to consider later orders equally. For ordering please use the "order" buttons at each article or call us at 6592 8544 or send us an email. If you like to receive our offer regularly you can subscribe here. We also make bread, cakes, tarts, pastry and buffets for personal events or parties. Just talk to us! Mild sourdough wheat bread (30% whole grain) with a dark crust and juicy crumb. Based on a traditional German recipe this savory rye sourdough bread contains normal and whole grain wheat and organic rye flour. 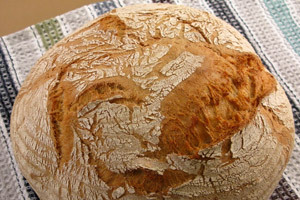 Instead of water we use malt beer for this bread which gives it a hearty flavor. Apart from that it contains organic rye sourdough and ground flax seed. We bake it in a mold! Classic sourdough bread made of wheat flour. 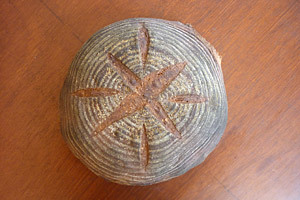 In France and Germany it is regarded as a solid country bread. In the US it is known as Vermont Sourdough Bread. 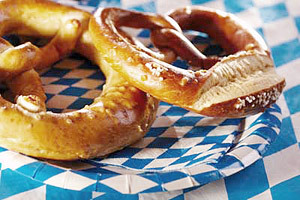 According to our German tradition we refine it with a pinch of ground caraway and coriander seeds. 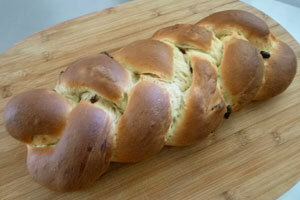 Traditional yeast plait with raisins and a topping of homemade orange marmelade. Contains organic eggs. (Deep frozen – made on April 17.) Contains organic eggs, flour and water. 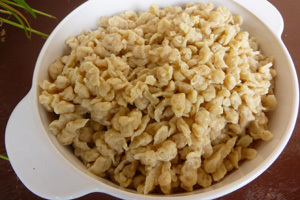 Can be enjoyed as a side dish or as a full meal, for example with cheese, fried onions and parsil. If you enter El Valle you pass the Centro Comercial (first supermarket on the right), keep straight and cross the bridge. After the bridge turn right (direction to the Restaurant Don Quijote / Hotel Campestre), keep going straight and at the second gravel road on the left you turn left (before Materiales Bartolito) and follow this road until the end. Our house is the last one on the left.